DirectAdmin is one of the leading web hosting control panel solutions for Linux platforms. It is the easiest to use web hosting control panel. DirectAdmin makes it easy to manage your web site and email accounts. Our Directadmin reseller plan comes with Private Nameserver, free SSL Certificate and Softaculous. The Softaculous Auto-installer gives you the power to instantly install over 400 software application scripts for your web hosting account. Reseller Hosting allows you to re-sell accounts and/or host multiple websites on our servers. 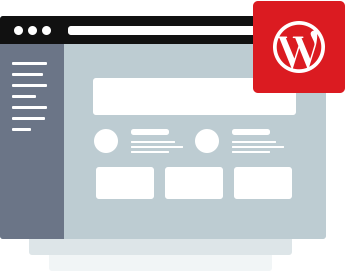 They are perfect for those starting out as web hosts, website developers and designers and those with more than a few sites. HostSEO™ Offers a Highly Reliable Business Reseller Hosting based on DirectAdmin Panel which makes it very Easy to Manage Individual Shared accounts. We use the DirectAdmin control panel installed on high-performance Linux servers for all nodes in our reseller cluster offering a simple, intuitive, web-based interface to perform common tasks such as email address management, creating databases and more. We can convert your cPanel backups on to our DirectAdmin setup free of charge. We will also support you during the initial data import procedures at no extra cost!